The Pole-Shift: When Will It Happen? Image #1. – This image is a guesstimate of the sling-orbital path of Planet X. The most important point of the image is to illustrate that Planet X passes by Earth in it’s elongated 3600 + year orbit of two Suns: one viable the other a dark gravitational mass. – Artwork by Chris Thomas, based on ZetaTalk. Planet X: we know it is there in the glare next to the sun hidden from view, but when will it come into view? Let’s first look at what that means with some ZetaTalk science. The orbit of Planet X (Px), is a sling orbit or an orbit that is oblate. It is this way as Px has two foci: our Sun and it’s “dead” binary twin which are 68.7 trillion miles from each other, therefore a slinging between two heavenly objects and not a round or elliptical orbit shape characteristic of a single foci orbit. This sling orbit makes our Sun and solar system only a pass-through point within the sling orbit circuit(see above image). This is important to understand. This means that Px is bound to pass-by Earth since it’s orbit path extends beyond our solar system. Hence, once outbound, Px will continue moving away from us for several years then do a turnaround for it’s return trip for it’s outbound portion of it’s sling-orbit to the binary twin. ZetaTalk says that this return part of the cycle takes Px through our solar system again on the “far side” of the Sun. But where will Earth be at that time in it’s orbit and why does that matter? Well, we are stopped now in orbit and we hardly know it! Yet will we be stopped again? How will Earth be affected? The Zetas don’t say, but they do say it will be much less of a problem for Earth and no second Pole-Shift, just some world-wide earthquakes at the time. Image #2. – This image attempts to show the temporary (9 years to date) lineup of Earth, Planet X and the Sun. Earth halted it’s orbit in December of 2003 but is slowly being pushed backwards due the also stymied, but very slowly progressing Planet X. The Sun is the orbital foci of both planets and remains as part of the lineup sustained by the the laws of orbital dynamics. Artwork by Chris Thomas. Information based on ZetaTalk and personal observation! The Earth, Px and Sun lineup explained. Since Px is sling-orbiting our Sun, it passes through our solar system relatively close to it’s foci: our Sun. As an aside, many millennia ago, this was not the case. The Px passage area was within the Asteroid belt, which used to be populated with a few planets, but they were broken down into the asteroids that are there now. Now, when Px entered our solar system in 2002 it was temporarily visible far from the Sun (from our sky view perspective), but that was only for a few months as it quickly traversed the inner solar system (image #1) where it met the Sun’s gravity repulsion force slowing its progress dramatically. 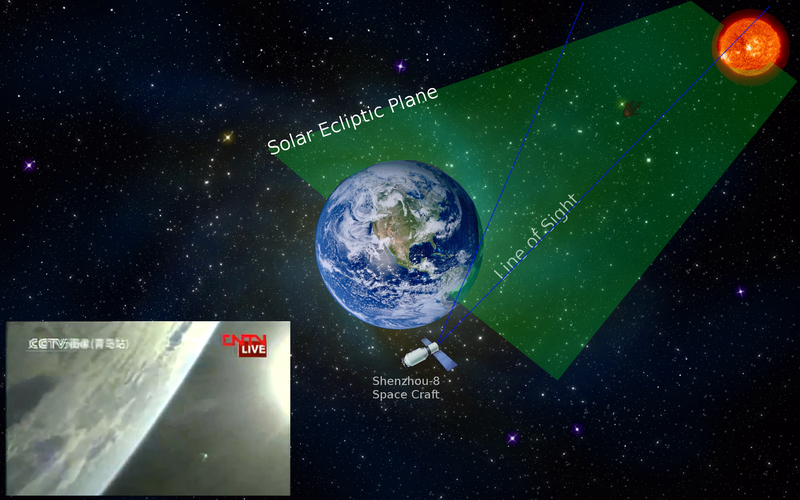 Px then partially circumnavigated the Sun to the ecliptic where it is now (image #3) situated between the Earth and the Sun. Also consider that Earth has been stopped in orbit due to diverted particle flows passing around Px capturing Earth in what ZetaTalk calls a “particle flow cup” (imagine a ping pong ball floating above a blast of air, it hangs in place because of a similar law of airflow dynamics). So, lest we forget, Earth is the deer in the headlights, not Px. Earth is also dithering in place (like the ping pong ball) with relative positions being kept between Px and our Sun respectively from a solar system “left to right” concept. So all this simply means that Px is rarely visible because it is stationed on the ecliptic within the glare of the Sun due to a more-or-less static line-up of the constituent heavenly bodies. However, from an inter-planetary perspective, Px is positioned momentarily between the Earth and our Sun. Image #3. – This image consists of approximately-scaled artwork showing the current relative position of Planet X as stationed between Earth and the Sun with an actual visible-spectrum image (inset) of Planet X. The artwork was originally created to illustrate the incidental revealing of Planet X through a publicized video of the Chinese Shenzhou space program’s “Shenzhou 8” launch. Published on Youtube in late November of 2011, in my opinion it was a remarkable find by the Youtube uploader. I became aware of the video via a post by a member of our Surviving The Pole-Shift facebook group. 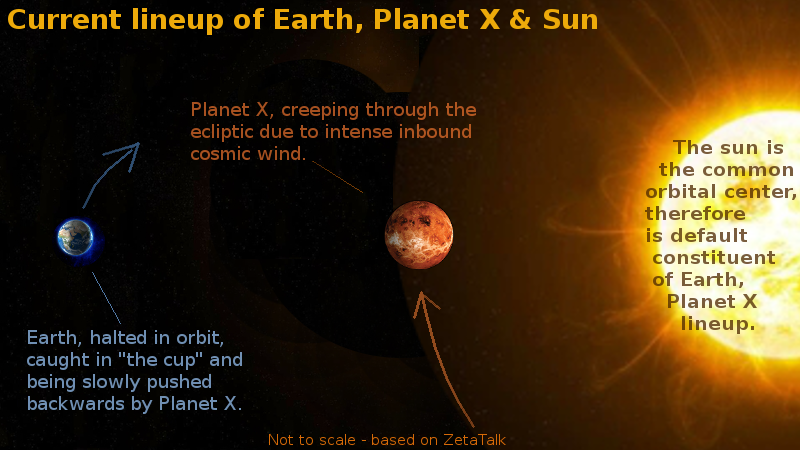 As far as I know, ZetaTalk has not confirmed this as sighting of Planet X, but when you examine the images in the video, the position of what apparently seems to be Planet X, it is consistent with ZetaTalk: that Planet X is positioned between Earth and the Sun at about approximate 40% distance from the Sun between the sun and the Earth. Also, based on my experience, this is the only human-eye visible-light image of Planet X above Earth’s atmosphere in the public domain. Video here. Art work – Chris Thomas. State of public awareness of Px. Some of those in the know about Px and the Pole-Shift have already moved to safe ground and others are quietly preparing for the main event now. But there are also many others who are dithering yes-or-no about Px that are waiting and wanting to have a clear undeniable sign that PX is near, real and a clear and present danger before they commit. Who can blame them? This is a natural condition for those who tend to rely only on visual cues to absorb such an abstract and devastating message. Of course there does exist the attachment to the concept that the political hierarchy will take care of us, so many of those cling to the hope that there will be a public announcement alerting the public to Px in our solar system and what that means. When you consider that there has not been an announcement yet and it’s been 10 years, it is not reasonable to wait for such an unlikely event. Those people otherwise studied, are using parallel personality skills and other nerve pathways to augment their confidence in the truth of Px. Why? Because they sensed the truth of Px first, then started reading! Regardless, those who have studied the history of Px do have a basis of knowledge on the subject, so are farther ahead in being able to accept images and videos from a reliable source as valid. Of course the reliability of images and videos of Px is impossible to determine without the relative knowledge, experience in observing and watching for Px and the skill in dissecting the constituent parts of an image to determine whether it is a fake. On the other hand, there are many purported pictures and videos of Px on the internet, but the majority are misdiagnosed ghost images of the Sun, lens flares, Sun dogs, window reflections or optical illusions of one sort or another. But we are not interested in nice pictures of the Sun are we? There are still others who cannot accept the reality of Px until they see the raw light direct-from-Px in the sky above their heads entering their optic nerve, and even some of those will not believe until they are directly affected. These need multiple concurrent sensory stimulation real-time to break the disbelief in order to accept the existence of Px as-a-threat. Certainly this is true of all people that their body is activated to fight or flight by a direct threat, but before that, all is still abstract and subject to interpretation. Ultimately, once the yet-to-believe finally realize that Px is a temporary solar system member factoid and that they are about to experience the penultimate violent hazard, they will no longer need to see it. 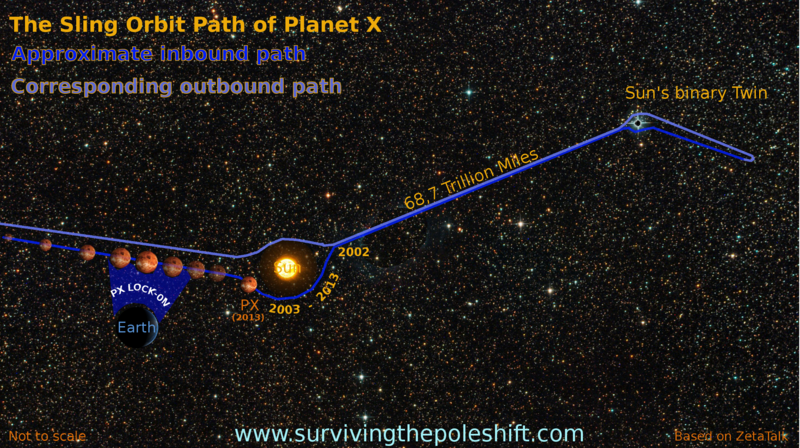 Finally, let’s look at the timing of the passage of Planet X and the resulting Pole-Shift. The best information source in the world concerning Planet X and the Pole-Shift, ZetaTalk, has the rundown to the Pole-Shift in three parallel layers: the first layer is a general overview of a numbered progression based on 10. The current phase we are in now (2013) is the “7-out-of-10”; the second layer on top of that is the famous ZetaTalk-predicted simplified world-event-sequence. I will offer a key example, and this is exactly what we are watching for now: (following Africa’s “rolling” to the West and dropping the “floor of the Mediterranean“) is this sequence: #1. – the devastating Southern Japan, then northern Japan earthquakes separated by a matter of weeks or a short duration of months (the north and south islands are on different continental plates), sequence #2. – then the Author’s town gets sloshed by a local earthquake and tsunami (Victoria, B.C. ), sequence #3. 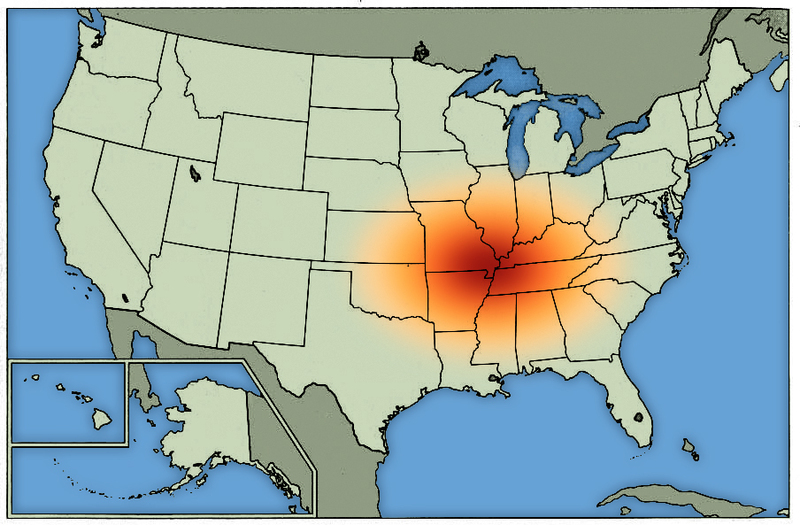 – then the New Madrid earthquakes occur (isolating the eastern U.S. seaboard – image here), sequence #4. – very quickly after the New Madrid (2 to 3 hours) the European Tsunami will wash throughout Northern Europe with a 200 to 300 foot wave. The final layer is that of “the last weeks” as detailed here by a current member of the poleshift.ning.com website. The importance of the sequences I have just detailed is that it can’t be hidden by those who control the media for their own interests, therefore these are major flags to watch for. 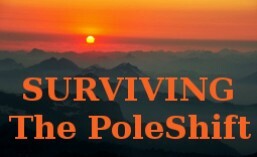 I believe we all have 2 essential outlooks against the timing of the Pole-Shift. First, the objective approach – We have the flags, the sequences, but many still want to know when the Pole-Shift is going to happen. The reality is that no human is to know the date of the Pole-shift, so we all must resolve to accept this as a fact. Human scientists do not have the math and therefore no clue and even if they did, we know it would never be published. An analogy. Does a baseball fielder have to know when the fly ball coming his way will hit his glove so he can catch it? No. He hears the crack of the hit, he follows the trajectory of the baseball and moves his body accordingly to catch it in his glove, it’s as simple as that. We must follow the trajectory of the geological events to the Pole-Shift. We have the road map. We also have the Subjective approaches – First, for those who remember their dreams, you can ask for a dream to show you what you need to know. Don’t ask for the date! Just ask for what you need to know and keep asking until you get the message. The second approach is to watch for big changes in your Life, these will come before the Pole-Shift to set you up for Pole-Shift survival and the After-Time. Subjective flags? Hair raising on the back of your neck, opportunities popping out of the woodwork, omens or “signs” linking your deep queries and heart-felt needs with visual or audio cues (like a daytime dream). The Pièce de résistance is to combine all three: watch for the geophysical red-flag sequences, ask for a dream and keep an eye on your Life changes. The Planet X and Pole-Shift information in this article is based on ZetaTalk, but the philosophy in the last two paragraphs is my own. This entry was posted in About the Pole-Shift and tagged crustal shift, nibiru, planet x, pole shift, PoleShift, poleshift date, poleshift information, poleshift time, when will the poleshift happen, Zetatalk. Bookmark the permalink. I have all the reasons to believe that the arrival of Nibiru will be a sudden event. A bow-shock type of event. The exact date is certainly a well guarded secret that nobody (not even Obama) is informed about. However, I firmly believe that the Bible’s numerous coded messages are fairly clear on this issue and that THE DATE has been known for at least 2000 years and possibly as much as 6000 years. That is the reason why we were kept in the dark (scientific suppression by the church) for so long. I am not religious but I believe at least that much and I do have my own idea on the date. Lucky me, I am too old to prepare. Greetings Bob. A planet can’t pass within 15 million miles of Earth and it not be noticed and therefore be “sudden” as you say. It’s out there now at 50 million miles and is causing all kinds of problems at that distance, one of which is earth wobble, which is responsible for all our wild weather these last 9 years. Bob, the movement of Nibiru on it’s sling orbit covers more than a trillion miles of space, so cannot possibly be predicted by an ancient text, combined from many writings and interpreted and misinterpreted so many times, not to mention the interference of kings and of the Christian church hierarchy for 2000 years altering the original message. The Christian church has known about Nibiru and the Pole-Shift, most notably as recorded by Sister Lúcia and the “Three Secrets of the Fatima” from May 1917. Although Sister Lúcia and her two cousins (with her at the time of the vision), were not given a date either. The date of the pole-shift does not matter anyway, since Nibiru will announce his immanent passing by being SEEN TO THE LEFT OF THE SUN (northern hemisphere). Dear Chris, I “know” you from ZetaTalk, where I visit the ning regularly … stumbled on your site today and could not believe my luck.. I was looking for a video, “Nibiru and the Poleshift”, but it had been removed from youtube, which was a heck of a disappointment as I believe it to be quite outstanding…Nancy is also on it as well as Zecharia Sitchin. Anyway that’s how I landed here… very delighted, as living in the southern hemisphere (South Africa), I have a question from time to time, however, the questions are pretty intellectual and I can’t always follow it… still I am not too concerned, as the most important is to follow what Nancy advises, which she made easy to understand. Just want to thank you that I can post here and perhaps ask a question from time to time, if that would be okay? I actually post more stuff there and of course we have a large zetatalk aligned membership as well. Until we speak again, Chris. Hi Kzn, I checked my distribution list and your email is there. I’ve been busy with my videos. I have #5 half-done and I’ll try to get it completed after I finish the safe location videos for the USA, I have 2 more to go. Yes I’ll send you the last two. Please let me know here if you don’t receive them in the next few days, say by the weekend. Really good content !! when me and my family survive this and I tell my kids about what happened since they are to young to understand; ill say a man named Chris Thomas cared enough to dedicate the time and effort to make it possible! Thank you and god bless! Hello Klina. Know much about ET tech and how it will improve life for the humans who survive the Pole-Shift? By your “question”, which is really a statement and a comment against my intelligence, I determine you seem to know very little if nothing. There is so much more spiritually going on with this Pole-Shift, that if you don’t have an inkling now, you never will in this lifetime. Just get ready for the PS and set up as far as you can from a nuclear station or a nuclear storage facility. And yes, I’ve written extensive articles about Chernobyl, etc., but I won’t bother pointing you to them because it seems you’ve made up your mind about this.